Uniting contrasting materials with great success, the Fusion Wooden Stool Grey Velvet is a unique piece of furniture. Luxurious grey velvet brings extra comfort to the padded seat, which is encircled by a medium backrest that curves into two arms. 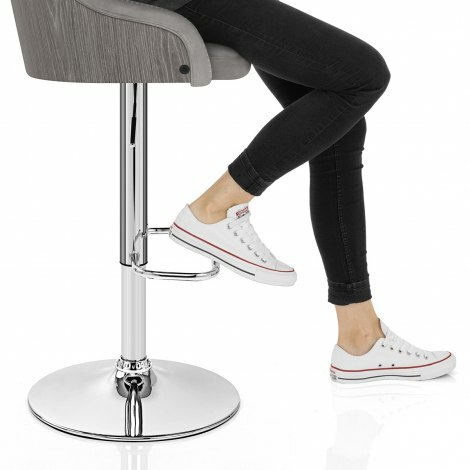 Enhanced by piped edging and stitch detail, this stool offers style and support. The rear of the seat has a bentwood casing with a light grey finish that accentuates the grain of the wood for a contemporary rustic feel. Giving the seat a modern edge, the frame has a mirrored chrome finish that will shine and reflect its surroundings. 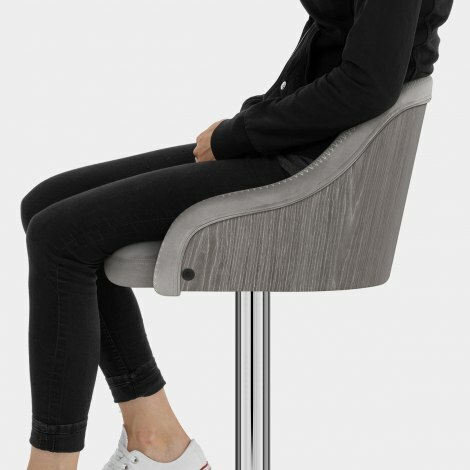 It includes a myriad of useful features, including a rectangular footrest, 360-degree swivel, and a variable height gas lift mechanism. Finished with a protective guard under the round base, the Fusion is not to be missed. 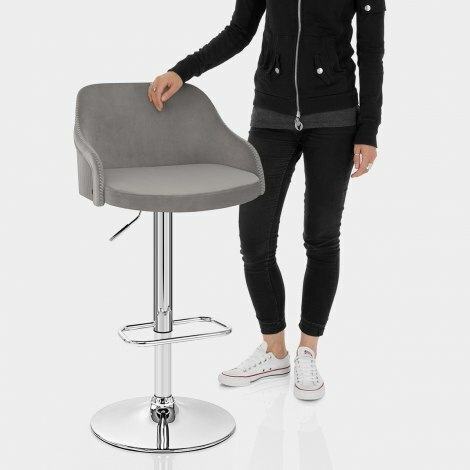 "Exactly as it looks online & arrived really quickly"
Love love love these stools, they look gorgeous, very stylish, they’re so comfy and worth every penny! Delivery was super quick and erecting the stools was also very simple......perfect! Really pleased with these stools perfect finishing touch to our new kitchen. Comfortable and excellent quality. Really pleased with my purchase. Exactly as it looks online & arrived really quickly. Excellent product, excellent quality and comfort. Highly recommended.